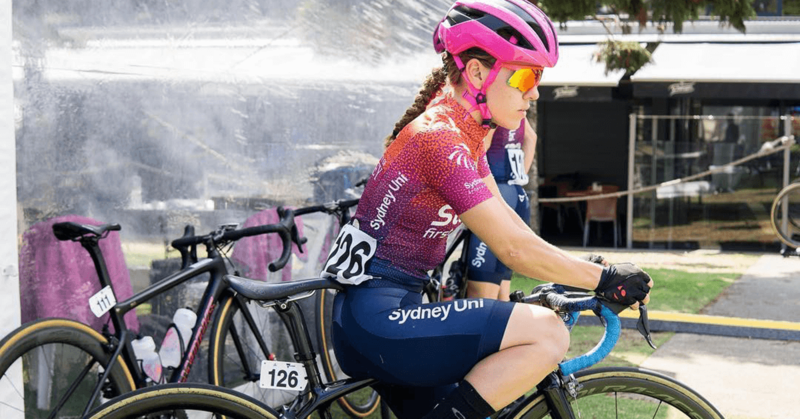 Jade Colligan is the latest cyclist in our series of stories with the Sydney Uni – Staminade women’s team. Originally from Jervis Bay in NSW, 22 years old Jade is studying a Bachelor of Exercise Science at Wollongong University. 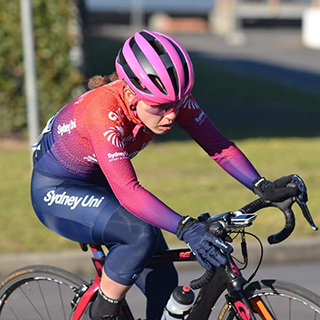 When she’s not studying, she spends all her spare time training and racing for Sydney Uni – Staminade. We recently talked cycling with Jade and what inspires her in this fantastic sport. Jade: I swapped from basketball to cycling 5 years ago. I just started riding a mountain bike everywhere to get some fitness. I ended up joining the Mountain biking squad at high school, then started doing a few MTB races. I loved it! 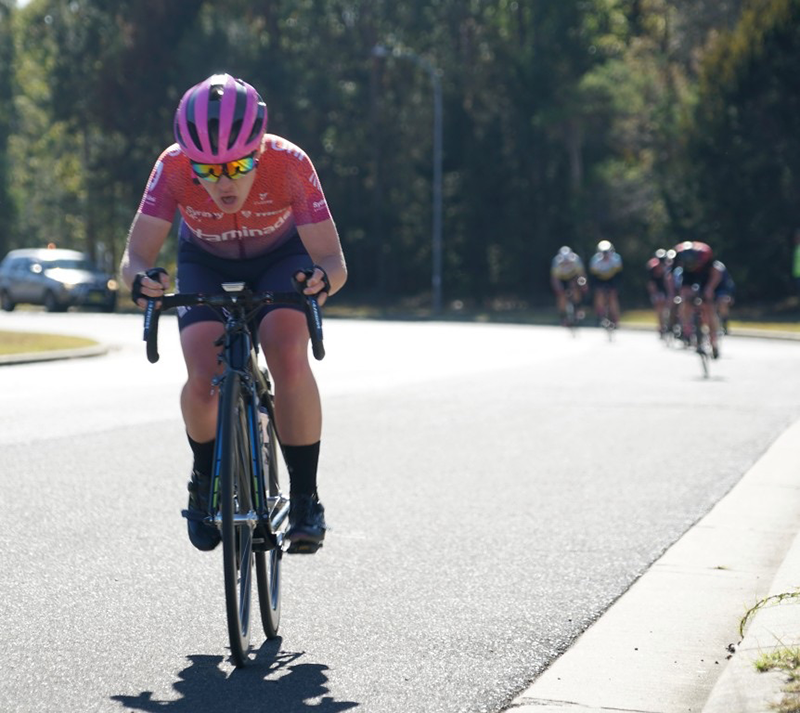 Jade: When I started NRS in 2014 the women’s fields were much smaller. The quantity and quality of women’s racing has improved so much over the years. To the point of announcing equal prize money for the men’s and women’s Tour Down Under. It’s definitely hard when you have to balance: university, work and juggle other commitments all whilst racing a bike. Hopefully there will be more opportunities for women to compete at the next level in coming years. All the races in January 2018! Finishing my first National Championship Road Race this year was pretty special. My greatest success was riding in the first ever Women’s Herald Sun Tour. But also breaking away and winning the first intermediate sprint points. To be off the front of an international field will be something I remember for a long time. Jade: I would love to get into a team overseas and have the opportunity to race against the best in the world. Jade: Doug Holland has definitely been my biggest role model since I started cycling. He looked after me and taught me the basics. It’s great to have someone who has been at a high level to get you through the tough races. It’s something I really appreciate. It turns out that he competed in his first Herald Sun Tour in 1967, winning KOM points. When I did mine in 2018 and got sprint points. It was pretty awesome! Jade: I get really nervous before races, so everything has to be structured so I don’t stress out beforehand. I like to get up early and have some time to chill. Usually we travel to the start and go and sign-on straight away. I have all my food and drink with me, having something; 3hrs, 1hr and 15minutes before the race. I like to have half an hour on the trainer to warm up properly with some efforts. Jade: It all depends on what race is coming up. My efforts are vary a lot depending on whether I’m building: training load, strength or top end. A typical week building into an event is between 15-20hrs a week. Mondays are usually rest days with some stretching and core strength. I like to go a longer ride on Tuesday, with varying types of efforts on hills or even a solid bunch ride. Wednesdays usually are endurance rides if I had a hard ride the day before. Thursdays are often recovery days. Friday and Saturday might be tempo with threshold bursts. Sundays I normally ride out and race! Hardest part of training and how you overcome the challenge? For me, the hardest part about training staying motivated and focussed all time. It can be really hard to push yourself every day. To overcome this, the best cure is a simple bunch ride with a few friends. Jade: Smashing out a hard session and feeling so good afterwards. I love being out on a bunch ride with a group of mates. You also can’t go past a good brew after a hard training session. Jade: Definitely the Wild Berry Rush flavour! Jade: It means that Staminade goes above and beyond expectations. During races when it’s fast and there isn’t enough time to down a gel. Drinking Staminade works every time. It not only quenches thirst, but keeps you from hunger flatting during the middle of the race. It’s definitely my number one preference.